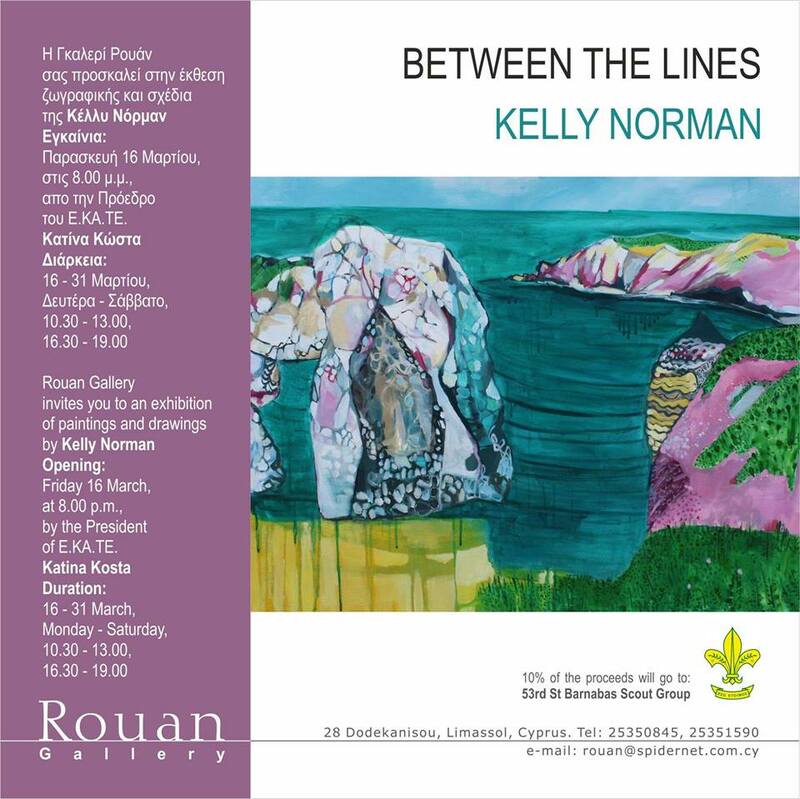 Rouan Gallery invites you to an exhibition of paintings and drawings by Kelly Norman. “To paint is always to start at the beginning again, yet being unable to avoid the familiar arguments about what you see yourself painting. The canvas you are working on modifies the previous ones in an unending, baffling chain which never seems to finish”. “Between the Lines” is a diverse exhibition of paintings and drawings exploring landscape and rockscape that are connected through line and the painting process. Kelly’s new work continues the dialogue between the painting process and the picture. These new works appear more gestural and more intuitive and explore the idea that a painting could be fulfilled in a simple self investigation of the medium. In some of the paintings Kelly adds simple motifs and letters over layers of paint and different washes to create a narrative where the yiayia continues her journey though each painting. Accepting nature for what it is, is something Kelly also draws attention to. For Kelly, nature puts everything into perspective.